Many thanks to all those who came to the Burning Ambition exhibition and made it such a success. We are so grateful for all the interest shown. 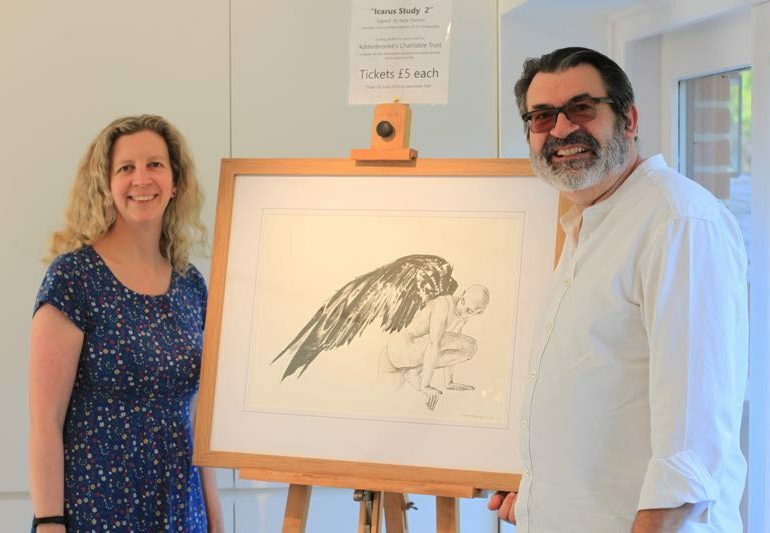 In addition we raised £2,100 for Addenbrooke’s Charitable Trust through raffling one of the Icarus Study Lithographs. The lucky winner was Malcolm Hollister from Hadleigh, pictured collecting it with his wife, Lorna.